Meet with our care coordinator for a thorough home care needs evaluation! Rate the staff and the home care services you experienced from us! We’re glad you found Hand in Hand Home Care Solutions online. 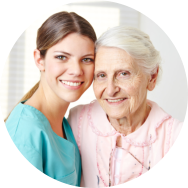 As your source for Home Care in Florida, we hope to provide you enough information about our services and staff so that you can make a sound decision for yourself or a family member. You are probably looking for a less costly and more flexible alternative to long term assisted living. If that is the case, you found the right website. 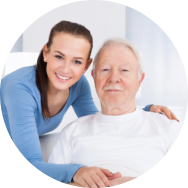 Hand in Hand Home Care Solutions is a Florida-based provider of personalized care for the elderly and disabled. 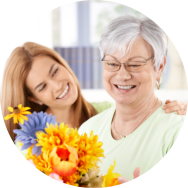 We visit clients at home and facilitate professional care services with the same quality and dedication as clients would receive from assisted living or facility-based care – only, we do it better. We have staff who are more dedicated, more compassionate and more caring than any home care agency you can find.